Happy Friday All! 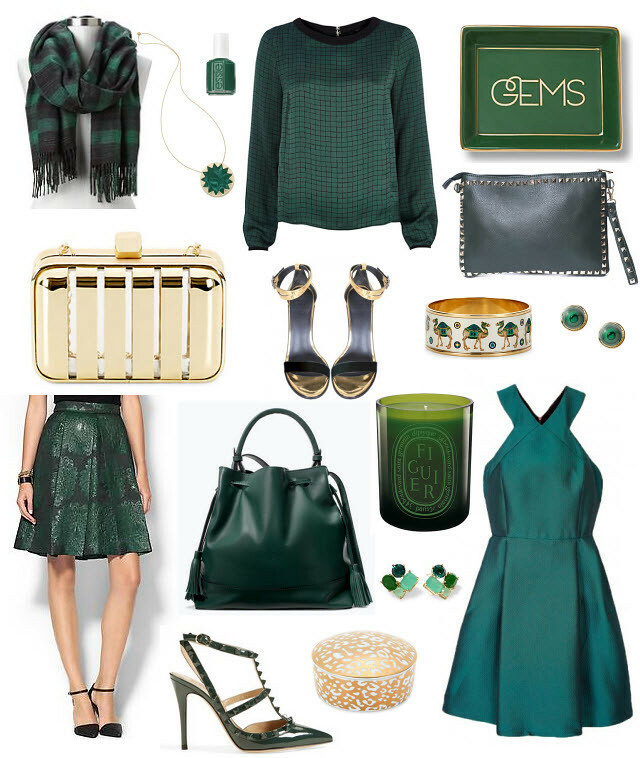 Today, I wanted to share my favorite color of the moment: deep greens. I have been all about deep green tones lately and love them paired with rich golds, easy blacks and a pop of leopard. From a dress perfect to the holidays to a cozy scarf, this color is so versatile and festive for the upcoming holiday season! Have a great weekend! Oooo, I am really into this color green. That Trina Turk skirt is so cute!